Do You Need an Experienced and Trusted Elder Care Attorney in New Jersey to Help You With Your Elder Law Needs? 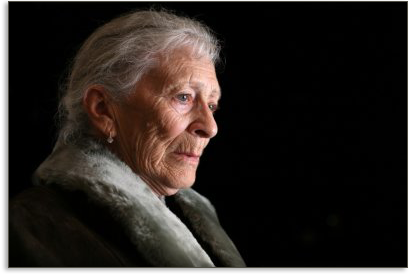 Elder care attorneys understand elder law. It is a practice area that has evolved over the past 30 years. Thirty years ago (30) there was no such thing as elder care law. The closest practice area to elder law was Estate Planning. Why? Because the population was much younger. The percentage of persons over age 65 to persons under the age of 40 was much less. But that has all changed. Today the population of American is exploding with persons over the age of 65 and as a result the need for legal advice, services and assistance to aging persons has dramatically increased. Yet, the population of experience elder care attorneys providing elder law information to the public has not kept up with the demand. Fortunately you have found our website, dedicated to helping people find relevant and helpful information about elder law related topics. Fredrick P. Niemann, Esq. and the attorneys and staff at Hanlon Niemann & Wright are experienced and trusted elder care professionals committed to helping New Jersey individuals and their families with their elder law needs in accordance with the highest standards of the legal profession. We have counseled and assisted thousands of individuals and families in New Jersey. As we and our loved ones enter their aging years, many concerns come to mind. Sometimes its about becoming ill or showing the signs of mortality. It can all be very stressful. It is important to know that you are not alone. We honor the values and needs of our aging clients and their families. We are exceptionally patient and friendly. Clients rave about our staff and our relationships with them. Our goal is the diligent pursuit of solutions that benefit you as our client. We strive to deliver our legal services in an ethical, cost-effective manner. If you look at the table of contents found on the left side of this page, you’ll notice the wide variety of topics discussed, all written in simple, easy to understand English. In addition you’ll find many interesting videos I prepared and recorded with you in mind so that you can gain a basic understanding of what can be accomplished in your elder care journey. If you have concerns or questions related to paying for your loved ones’ healthcare, nursing home expenses, or other elder law issues, we are here to help. Please call us today. Fredrick P. Niemann, Esq. and Hanlon Niemann & Wright have helped thousands of families with the same concerns as you. Together you can make it! Watch Fredrick P. Niemann, Esq. of Hanlon Niemann & Wright Explain the ins and outs of Elder Care in New Jersey in this interesting and informative video. Mrs. Fanok was a true professional who returned calls, emails and kept our family informed throughout the whole process. It was a pleasure to work with her the past year. I would recommend your firm and especially Mrs. Fanok anytime, and already have. She has shown our family true compassion and dedication to our case. She, in my opinion, is a tremendous and valuable asset to your firm. Our family thanks you, Mrs. Fanok. Is it Time to Meet With a NJ Elder Care Lawyer Experienced in New Jersey Elder Law? Alzheimer’s, Dementia, Multiple Sclerosis, Parkinson’s, stroke and other life-altering conditions strike terror in the minds of us all. A person with deteriorating health requires your patience and compassion . . . and appropriate planning. This is where we come in. When a loved one is dealing with health issues, when he or she is about to live in a nursing home or thinking about entering a nursing home or assisted living residence, you probably have lots of questions… and concerns. What if your loved one is younger and is diagnosed with an early on-set condition, like Huntingtons Disease or ALS?Have you be given different advice from tons of different people? Do you worry about paying for your loved one’s care while protecting your assets? Have you been told that your spouse, parent, family member, or friend will not qualify for Medicaid? Do you have questions about transferring or gifting money and assets in order to protect them from nursing home costs? What about guardianship, conservatorship or estate planning? Is a protective arrangement appropriate to address financial exploitation. Fredrick P. Niemann, Esq. and the attorneys at Hanlon Niemann & Wright have assisted families with elder law planning for years. They have extensive knowledge and experience as to the qualification techniques and eligibility requirements for Medicare, Medicaid, and other government benefit programs. They have worked with thousands of families and individuals just like you and yours. Please do not hesitate to contact Fredrick P. Niemann Esq. today to discuss your elder law matter. You’ll find Mr. Niemann to be exceptionally friendly and approachable. On July 8 and July 9th, Madeline Tulipani, the Director of Education and Community Outreach at Hanlon Niemann & Wright and I visited with many healthcare providers in Monmouth and Middlesex County. What a great time we had visiting with friends and professional co-workers and boy! did I learn a lot about their services to our aging county residents and family members. My sincere thanks to Sunrise at Marlboro, the Monmouth County office on Aging, Monmouth Crossings, Golden Years Adult Medical Day Care Center, Seabrook Village, Francis Asbury Manor, Senior Bridge Humana at Home at the Monroe Branch, Sunnyside Manor in Wall, and the Arbors in Spring Lake, for their warm welcome and exchange of information. This tour was so successful and such an eye opener for me that I have asked Mrs. Tulipani to schedule us one day per month through the end of the year to visit with other healthcare providers. Be expecting a phone call from Madeline asking to schedule us for a time to visit and say hello and learn about the services and benefits you provide to the community. Madeline and I look forward to our visits together. My wife and I wanted to express our gratitude for the guidance and patience from you and your staff along this journey. Life is strange at times and the things that bring us together can be just as strange, if not more. I not only got to put a few bucks in the bank, but got to reconnect with my cousin Sarah, which was a great surprise for me. That alone was worth the journey for me. Getting to know her and the family has been really nice. Fredrick P. Niemann, Esq. was recently asked to speak at the NJ State Bar Association Institute of Continuing Legal Education in New Brunswick, NJ on the essentials of estate planning.Mr. Niemann addressed attorneys from throughout the state of NJ interested in learning key concepts and principals of NJ estate planning, including such topics as wills, trusts, estate taxations, asset protection, powers of attorney, health care directives, special needs and supplemental needs trusts for disabled and incapacitated individuals, avoiding probate through creative use of beneficiary planning, inheritance taxes, gifting and changes coming to federal estate taxation.